Josh just sent me the link to your blog and I can't stop reading :) I love palindromes! 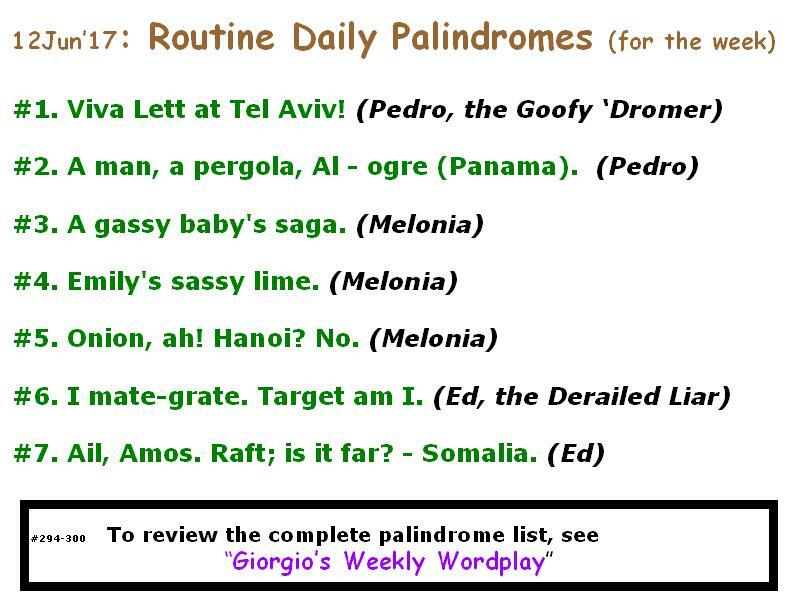 I always wondered why the word "palindrome" isn't a palindrome itself though. Thanks for the greeting. If you have any favorites that i have omitted, send them along, and I will publish them somewhere here with due credit. BTW, "palindrome" is also not an anagram or a Tom Swiftie. As a living, breathing palindrome, I want to give my full endorsement to this blog, and thank you for the support. The world needs more palindromes, now more than ever.